"Hi, Im the photographer...Photography in Miami is an enjoyable way to use light to record images of life and its events, places things, Miami with its multicultural people families and children are wonderful to photograph. My first experience with cameras was with the Kodak 35 format over 30 years ago" . At that time I also enjoyed developing my own films at home as a hobby. This later evolved into underwater slide photography with various cameras such as the Minolta 110 weathermatic, Nikonos type lll manual, Ikelite 110 and 35 as well as various homemade housing and camera combinations. My formal training includes underwater photo certification from PADI college in 1982, as well as Echostar technical photography courses in 1997. For over 10 years I performed outdoor as well as indoor inspection photography for the Echostar corporation under many different lighting and weather conditions. Currently I am using DSLR 35 MM Nikon digital and film equipment. The advent of digital cameras has allowed a much larger portion of the public to experiment and learn photography and in my opinion this has raised the bar for the remaining photographers that are doing this as a profession Working as photographer at Miamiphoto.biz is a great way to continue with the fascinating art of photography. Being a small operation in Miami Florida I offer affordable prices but working alone also means I have to handle a lot of different areas of the business myself : such as, scouting areas for location shoots, acquiring clients through advertising in local Miami area periodicals as well as the internet and craigslist, editing of completed photos, delivery of prints and DVDs, obtaining new commercial business and of course taking pictures-thats the best part! Keeping up to date is very important, learning about photography is never ending. 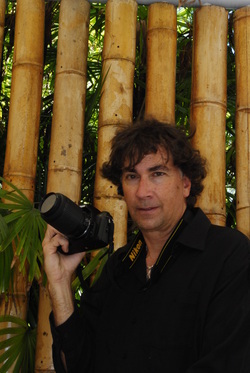 I have recently attended photographic training in Miami Dade college as well as the University of Miami in digital photography and editing techniques. It is my job to provide you with images that not only satisfy your needs but keep you interested in looking at them. Currently I am offering engagement photography as well as fashion and portrait work My location in Miami Florida makes it easy to find tropical settings for a beautiful photo session..that is the beauty of photography in Miami.